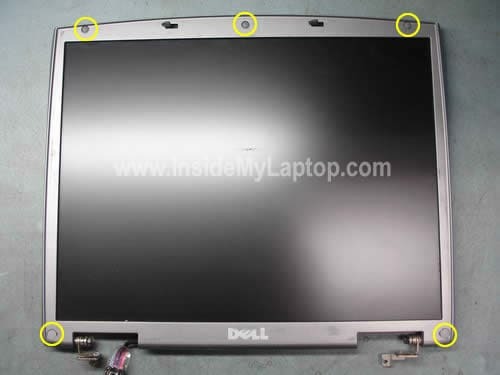 This guide explains how you can remove and replace the LCD screen, video cable and inverter board on a Dell display. These instructions should work for many different Dell models. Example 1. The inverter board is located under the LCD panel (not common). 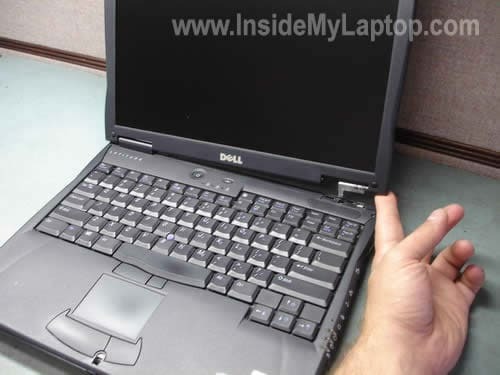 In this example the display panel has been removed from the rest of the laptop case. In most cases it’s not necessary to remove the display. Remove three rubber screw seals on the top and two plastic screw seals on the bottom of the display bezel.